Smart enough to tell a person from something else and then alert you. Automatically zooms in and follows a person's movements, while still showing you the full picture in crystal-clear video. Noise suppression and echo cancellation allow you to have a conversation clearly. 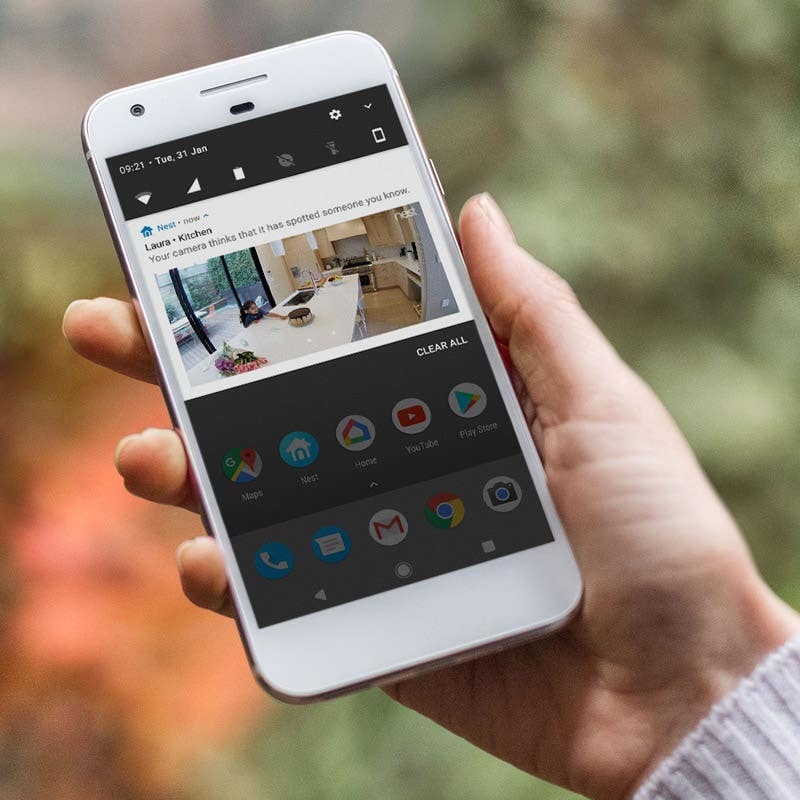 When Nest Cam IQ detects a person, motion or sound it can send you an alert with a snapshot on your phone and via email. Review what's happened, even if you missed an alert. View your 3-hour snapshot history in the Nest app. A 4K, 8-megapixel image sensor with HDR (High Dynamic Range) and 12x zoom lets you see every detail in full 1080p HD. Powerful IR LEDs light the room evenly so that you can even see in the dark. Add intelligence and continuous recording with Nest Aware* *Subscription service sold separately. Camera comes with a 30-day free trial. 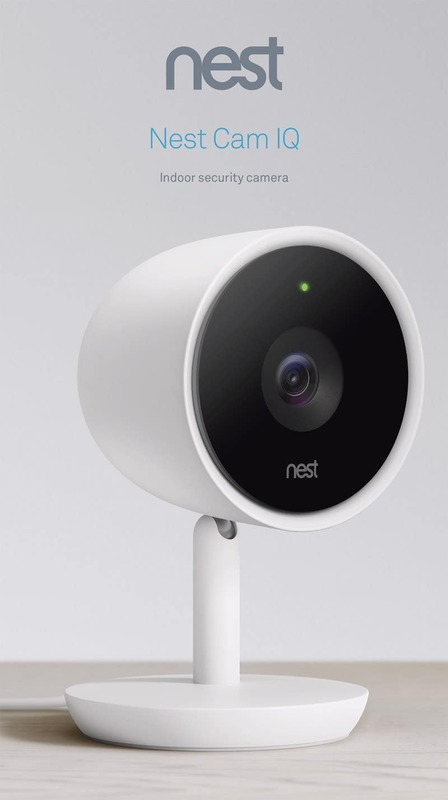 With Nest Aware, Nest Cam IQ becomes even smarter. It can send a notification if it sees a friend or family member, or if it detects an unfamiliar person. Never miss a moment. Scroll back easily through the last 10 or 30 days of your continuous video history using Sightline in the Nest app. Create clips and timelapses to share with your family and friends. Highlight areas that are important to you and receive alerts when something happens there. And if Nest Cam IQ recognises a door, it automatically creates an Activity Zone around it for you.